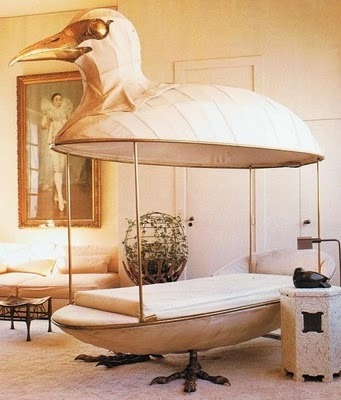 More fabulous design by Francois Lalanne! 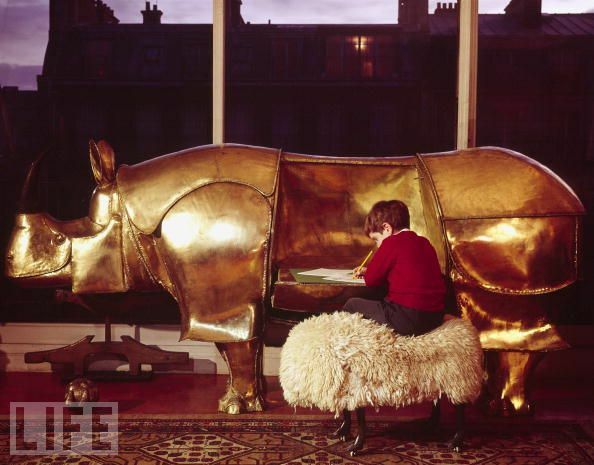 This large brass rhinoceros was created in 1967. 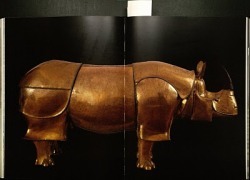 It has front and back legs which open to reveal shelving (top right photo) and a belly that opens to become a desk - seen here being used by a little boy. 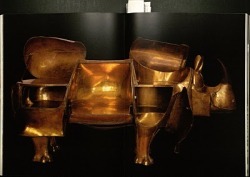 It also has a piggy-bank head with coin-drops in the ears!